Offering a home-cooked meal for everyone to enjoy was the motivation for starting “In da Loop – Pub & Grub”. 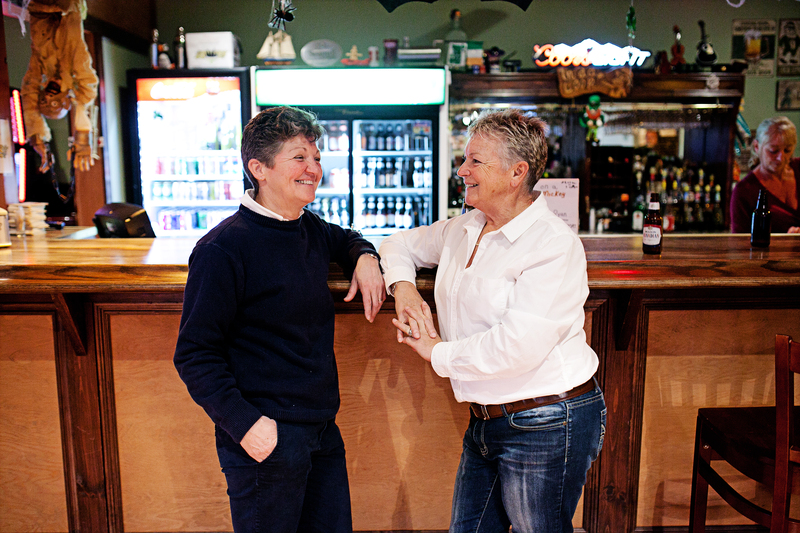 Owners Denise Leonard and Linda Cook opened the traditional Newfoundland style restaurant and pub in December of 2013. The final decision to open came after the local restaurant and pub in Fermeuse closed down and locals were left with nowhere to go. Since opening, the ladies have grown their business to employ between 13-14 people – not including themselves. They are rightfully very proud to be able to provide work for their community and this was another driving force behind the opening of the business. Denise & Linda don’t want to own just another restaurant; they want to be a place that their community can gather to enjoy each other’s company. “Our goal is to create a pleasant, environment that feels like home. A place where both young and old alike can come enjoy a good home cooked meal, and share a night of dancing and entertainment.” Well they have certainly done that. The beautiful new building sports an Irish-Newfoundland atmosphere creating a very welcoming environment. The building features a full bar, pool tables, patio area, stage for local acts to entertain, and of course a large dining area. It’s easy to see why local love it – it really does feel like home. The ladies say they couldn’t have done it without the help of their local CBDC. “Make certain that you contact CBDC because for us, CBDC has been our saving grace!” With the help of CBDC the ladies were able to build their new building and get things rolling. Denise Leonard & Linda Cook are fearless. Will you #BeFearless?